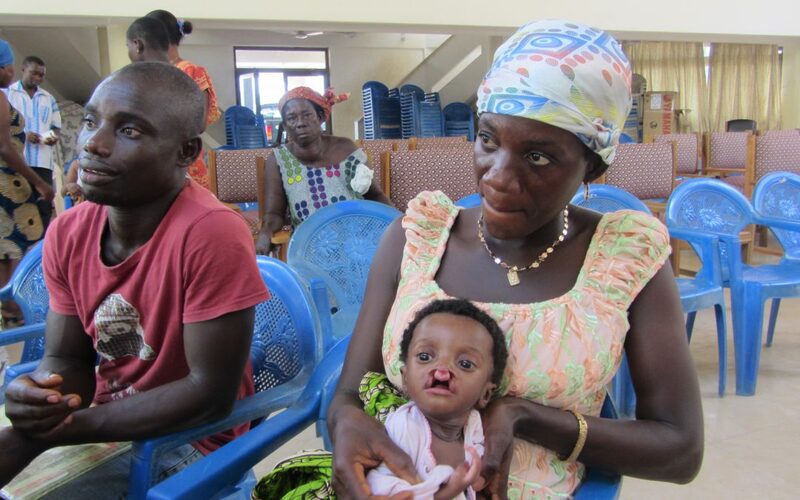 In November, Transforming Faces visited our project in Ghana. The TF team went on a field outreach visit to Cape Coast with a small team of two nurses, a speech therapist, and a resident surgeon. During the outreach trip, we met with 6 month old Rebecca Mensah, her mother Ernestine and father Kwame. Rebecca was born in May 2012 with a bilateral cleft lip and palate. 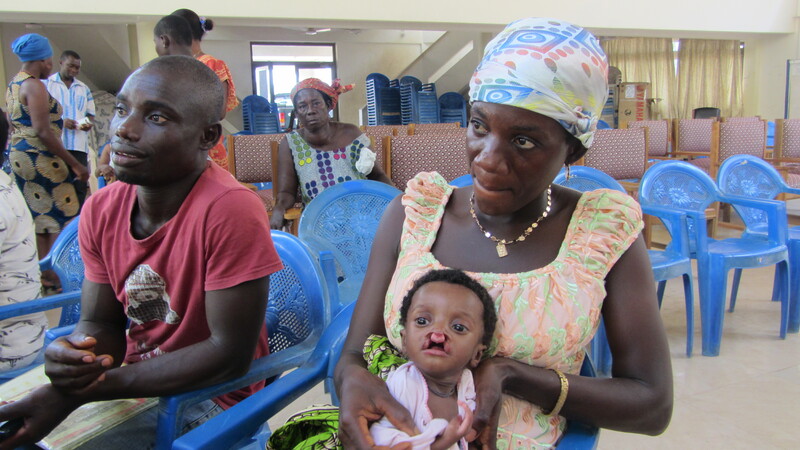 After her birth, her parents were re-assured at the Regional Health Clinic that assistance was available to treat her cleft. Her parents faced ostracization and ridicule in their home in the Central Region of Ghana. While at home, family members encouraged Ernestine not to feed the baby. However, Ernestine and Kwame decided to seek assistance instead. Rebecca was visibly malnourished. Ernestine recounted how difficult it was for her to feed her newborn. Upon visiting our outreach clinic, they were counselled and re-assured. An appointment was set up so that they could receive nutritional care and feeding information at Korle-Bu Teaching Hospital in Accra. Once Rebecca reaches a healthy weight, further cleft care will be administered.